Located in Melbourne's eastern suburbs, Clayton is one of the tech hubs of Australia, and home to one of Monash University's major campuses. While the suburb is primarily residential, visitors will find great restaurants, an ethnically diverse local community and a great spot for a base on their holiday to Melbourne. 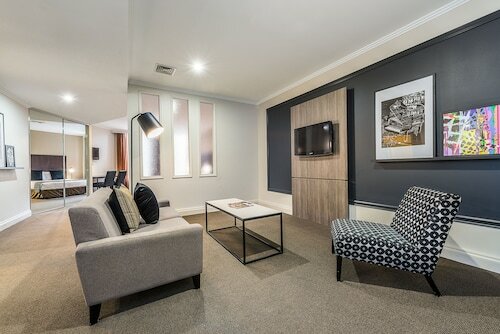 Check out our range of Clayton accommodation and stay in Melbourne away from the big city! Shopaholics will find many malls to give their credit cards a workout, such as Chadstone Shopping Centre, Westfield Southland and Centro The Glen, which are all quite close. Clayton is also a great base for exploring the high fashion malls of Bourke Street and Australia on Collins. You will always find something new and fashionable to suit every budget. After a morning shopping, check out the Puffing Billy Steamway, a 24km ride in one of the best preserved steam railway cars in the world. If your trip is in February, time your holiday with the Clayton Street Festival. With parades, dance performances and fun and games for the whole family, this event is not to be missed! The cultural centre of Australia, Melbourne has enough galleries and museums to keep even the most enthusiastic occupied – so a trip to the CBD is always on the cards. The National Gallery of Victoria is spectacular, or dive into the world of film in the Australian Centre for the Moving Image. Once you have seen enough art, the Old Treasury Building offers fantastic architecture, built in 1862. And if by any chance you are not yet shopped out, the Queen Victoria Market is a bustling shopping locale with both unique souvenirs and yummy fresh produce. No trip to Melbourne is complete without a trip to see the penguins. Only 90 minutes' drive from Clayton, the Penguin Parade is one of Australia's most visited tourist attractions. Watch as hundreds of penguins emerge from the waters of the bay to waddle back into their homes in the scrub. Clayton is definitely a residential suburb, but its easy access to public transportation and Melbourne's bustling city life make it a great place to stay while you are in town. Check out our range of Clayton hotels and find the perfect place to stay for your next holiday! How Much is a Hotel Room in Clayton? 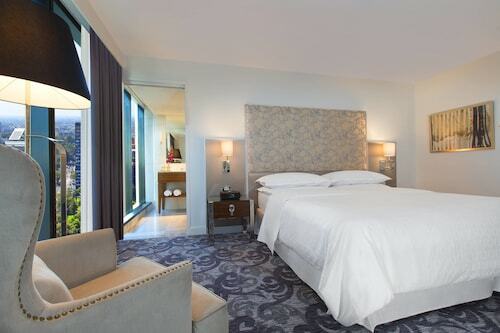 Hotels in Clayton start at AU$57 per night. Prices and availability subject to change. Additional terms may apply.